Most of us tend to spend a lot of our birding time heading out of our towns and cities. In truth we hardly notice the birds that we cohabitate with. We are so absorbed with planning our next trip to some far-flung destination, and what we would be able to see there, that we miss what is happening in our own backyard. How many of us know where our garden’s resident bulbul nest is located? If you have a nesting log do you know what the species succession order is? 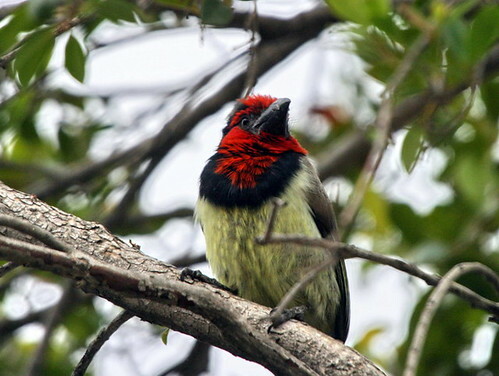 I know in my garden, that the Crested Barbet is the first to start breeding in early spring. They are also generally the first to excavate a new nesting log. By November their offspring are fully fledged. Green Wood-Hoopoes in my garden seem to be late breeders and take over the log in the early part of December, and are most active in feeding their young over Christmas and New Year. Of interest is that, although I don’t know how many eggs the Crested Barbet lays, I always find a dead, few days old, nestling close to the nesting log. It seems that in my garden they only raise one young per season. Whether the mortality is induced or natural, I will have to establish with some further observations. The example above is an illustration of the depth of birding one can do in your own garden. I often hear birders say that they feel down because they haven’t been out birding for weeks and really need to see some birds. In many cases, if you ask them about the number of birds in their garden, their count would be low compared to the possible species in the area, or compared to the sightings of the pentad in SABAP2. On average I add at least three new species to my garden list every year. I know you are ready to pounce on me, exclaiming that most of those species will never be in anyone’s garden. Quite true, but also false. Who of us would have ever expected some people to log something as bizarre as Openbills as a garden species? But yet in the previous summer, with the irruption of this species all across the country, people have! 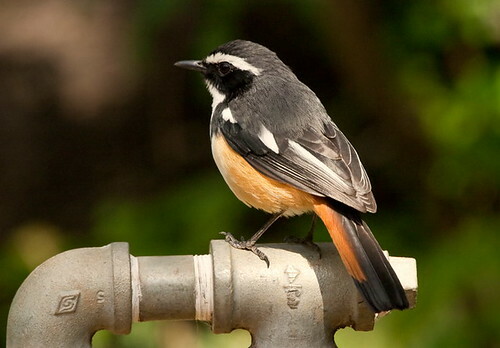 Supplementary attractions for birds in your garden. This will cover topics such as adding feeding trays, what to feed, providing nesting material, nesting logs, nesting houses and owl houses. My aim is to guide you with ideas that you can implement in your garden which can enhance your birding at home. Of course one should realise that not all of the subjects I will touch on will be applicable to every one, as your household setup will influence this, and you may have to adapt some ideas to fit the type of home you have or your garden size, or total lack of garden. You should however be aware that implementing the ideas given here will only attract birds to your garden. At the end of the day you need to make the mind shift that your garden is a sanctuary in its own right, and spend time to observe what is happening in your little private reserve. The highest reward to me is to spend time to learn to know each individual in my garden so intimately that I can start distinguishing between them, and learn that each has its own personality and behaviours.